Unlimited Vacation Time—California Here We Come! Should you consider this Silicon Valley trend that’s spreading across the United States? Attorney Susan Fentin, a partner with Skoler, Abbott & Presser, P.C., in Springfield, Massachusetts, offered her take on unlimited vacation at BLR’s Advanced Employment Issues Symposium, held recently in Las Vegas. HR Works Podcast: How Does an HR Department of One Support Strategic Goals? 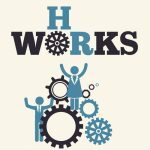 by Steve Bruce and Jen Carsen BLR’s new podcast, HR Works, provides clear, relevant, actionable information on topics that matter to HR professionals. When you’re armed with best practices, plus the knowledge to keep your organization in compliance, HR works! Talent and Performance Management—What’s Really Happening? To the loyal readers of the Compensation and Benefits Daily Advisor: Thanks for reading! Job evaluation is a systematic method of determining a job’s relative worth within an organization. There are five commonly used approaches, says consultant Diana Neelman. Which is best for you? HR Timewasters—Let’s Find Out What’s Destroying HR Productivity!